Dragan Cvetkovic Cvele was born in 1961 in Zrenjanin. He graduated from the Faculty of Fine Arts, Belgrade University in 1994 and obtained a Master’s degree from the Faculty of Fine Arts, Department of painting in Belgrade 1997. 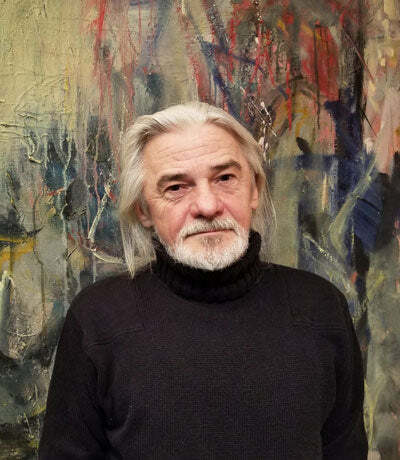 He is a member of the Association of Fine Artists of Serbia ( ULUS) since 1995 and a member of the ULUS selection jury since 2017. He has shown his work locally and internationally. He is also part of numerous private collections. With 15 solo exhibits, hundreds of collective exhibits, many art symposiums, locally and internationally. Lives and works in Belgrade.